Are you using the county records on Family Search? If so, have you figured out the levels of access? Well, I thought I had until a couple of weeks ago. That's when I discovered a 4th level that isn't obvious from the icons. In review, there are three icons that indicate where/how the microfilm records can be viewed. One of those is a microfilm reel. The 'reel' icon indicates that the record was microfilmed by the Church of Jesus Christ of Latter Day Saints and is available for viewing at the Family History Library in Salt Lake City. The second icon is the camera. The camera icon is my favorite since it means I can access digitized images from the microfilm on my home computer. The third icon is a camera with a key above it. This icon signals that the record is 'locked' and only viewable at specific locations. I was able to view the above records (Warrick County, Indiana Deeds) at my local public library since it is an affiliate of Family Search. Until recently, I assumed that I could view any/all locked images at an affiliate library. However, I discovered that there are two levels of locked in late March when I tried to access Botetourt County Virginia tax records at my local library (FamilySearch Affiliate). When I wasn't able to view the images, I posted a query on the FamilySearch Users Group page. Responses to that query indicated that it was possible that I could only view the Botetourt County records at a Family History Center. 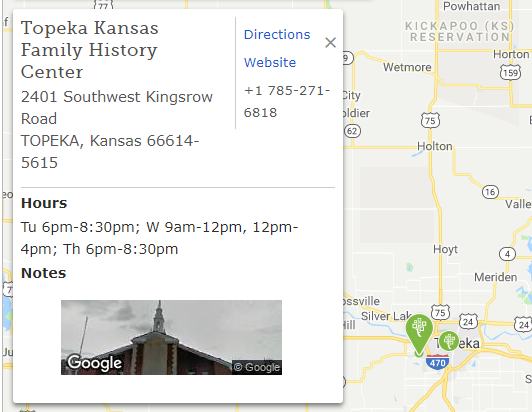 So, when I had the chance to research at the Topeka Public Library (another FamilySearch Library Affiliate) with the Topeka Genealogical Society Brick Wall Study Group, I tried to access the Botetourt County records again. 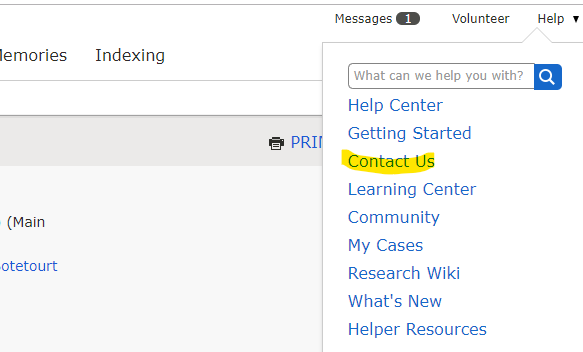 When I still could not access them, it was suggested that I contact FamilySearch to see if there was a way to view them at an Affiliate Library. I found the 'contact us' link on the FamilySearch site and submitted my inquiry. To my surprise, I had a phone call from FamilySearch during my drive home. They confirmed that there are some locked records that are only viewable at a Family History Center. Now, that I realize there is a difference, I need to figure out which Family History Center will be the most convenient to use. The 'locations' website will help me identify the nearest center and their hours. Since I am 75 miles from the nearest center, I could go to St. Joseph, Missouri, Topeka, Kansas, or Manhattan, Kansas. I just need to figure out which one has hours that fit my ability to travel and plan a research trip. There is yet another level of locked records, as I discovered in Salt Lake. I was trying to look at the digitized German church records for the 1600s. The file remained locked at my local family history center, so I had it on my list to do during RootsTech. However, the file still remained locked in the FHL. I asked why and they said some digital records were only accessible by LDS members, which is why they keep the microfilms of the German church records in the drawers in the library! Are you sure they said Family History CENTER? I recently ran across a batch of locked records and went to my local Family History Center to view them, only to be greeted with a message that they could only be viewed at the Family History LIBRARY (in SLC). That was a first for me. The Virginia records I was trying to access said 'Family History Center'. 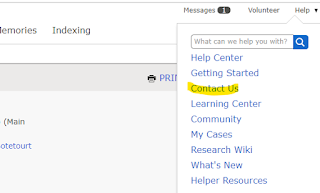 When the genealogy librarian at the affiliate library saw the message, she recommended contacting FamilySearch. I've also had locked records that were only available to LDS members. Example: https://www.familysearch.org/search/catalog/695431. There's no way to know until you go into a FHC to try to access them. I was able to visit the Family History Center in Topeka, Kansas yesterday. During that visit, I used the Botetourt, Virginia tax lists. Unfortunately, I only had a couple of hours and did not finish reading the images from that one role of film. Now I need to figure out how I can get visits to the Family History Center on my calendar!